Thread collab/43387 hidden. Unhide thread Threads not staying hidden? Try resetting your hidden threads. 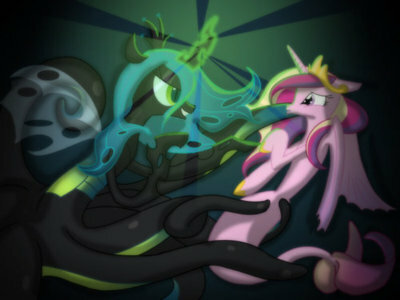 Just saw an article on EqD bearing ill news about Fighting is Magic. And it has me a bit concerned for the sake of Spikes Quest. Not that this game would had ever competed with the awesomeness that would had been Fighting is Magic, but I still had some pretty wild ambitions for this game. But if legal issues are a huge threat to such projects then I have to question the stability of the production path for SQ. Should I be afraid of the potential Cease and Desist notices from Hasbro? Should I maybe discontinue the use of their IP and try something a bit more... original? I'm a bit on the fence here. change original names also made diferent color versions of the show characters or make a color editor oer some different color versions of "Speeks"
I think you'll be fine. Even now it's unclear if Fighting is Magic will remain taken down, or if Mane6 will fight through it and get the C&D removed from them. 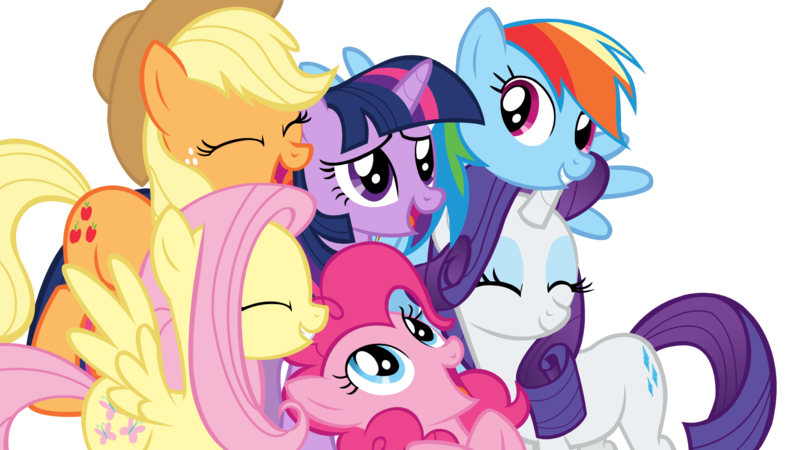 I do know there's a petition that's going around to tell Hasbro to remove said C&D, and as much as I support this project, I'm supporting the people at Mane6 too. I suggest that if you like Fighting is Magic that you sign, but don't forget your own project either. It's too good to drop yet, regardless of the risk. Thread collab/44022 hidden. Unhide thread Threads not staying hidden? Try resetting your hidden threads. 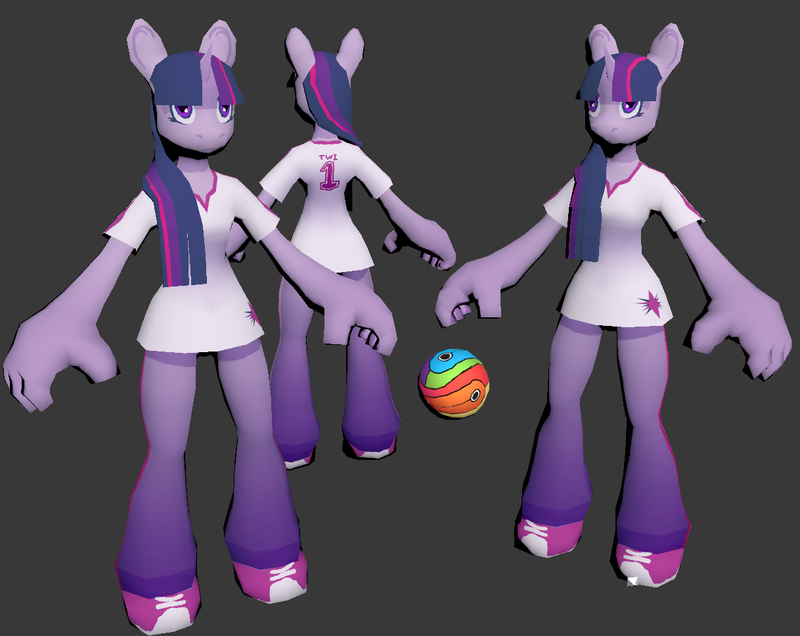 /mlp/ here, me and a couple of people have decided that since mane6 will probably never going to release the game, we should resurrect it ! It's time to set aside the differences for a moment and work together on a common project. We're going to use mane6's resources and copy the whole project. We are only a few programmers so we will inevitably need artists, sound guys, maybe VAs and HUD artists. This is still in planning and we are debating what engine/language to use. In the pic I've made a quick mainframe in XNA 4 and managed to implement a title screen and a basic stage. 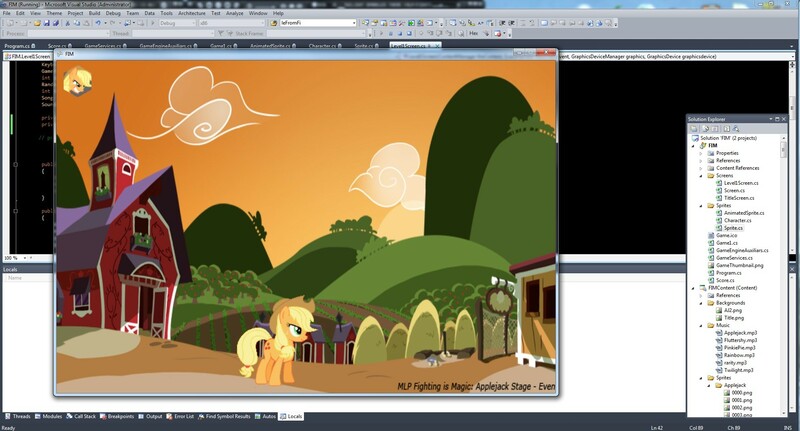 Background music works and AJ has movement and idle animation working. 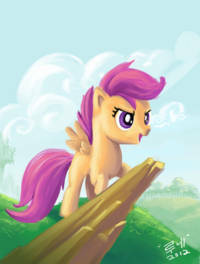 Locking the thread and waiting to see how things go for Mane6 would be prudent. 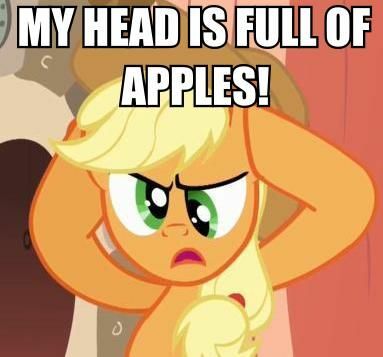 After all, OP openly said he wanted to use Mane6's resources. Here is a summary it will be game with original creative commons CC-BY content and all code will be released under GPL and all software use will be under GPL license. After further contemplation, you're right. 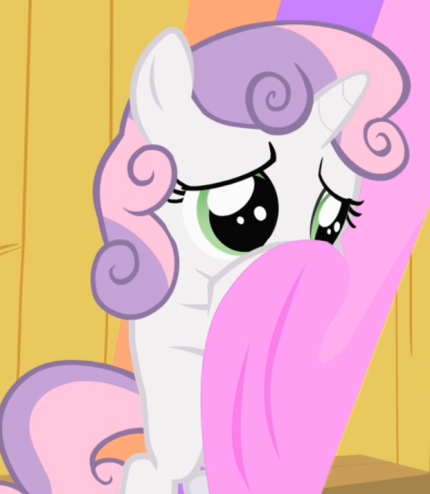 OP, please report this post asking for an unlock if and when Mane Six announces a failure to succeed in negotiations with Hasbro. Thread collab/43988 hidden. Unhide thread Threads not staying hidden? Try resetting your hidden threads. 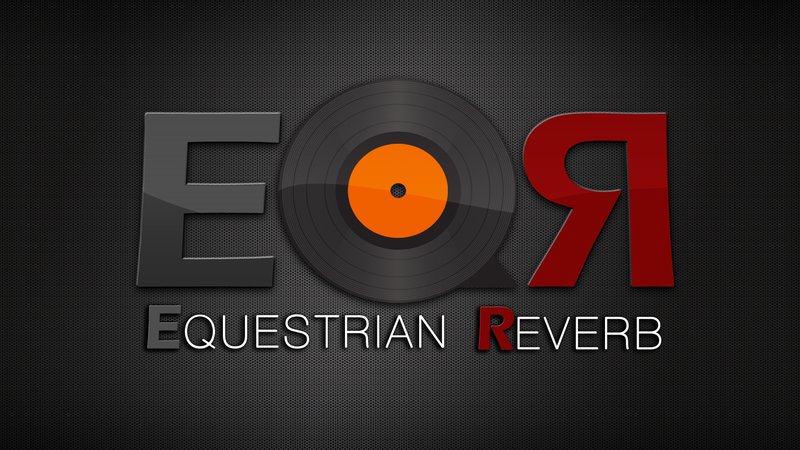 Equestrian Reverb is an up and coming website dedicated to hosting and promoting all audio works done by bronies (podcasts, music, and audiobooks). Thread collab/43735 hidden. Unhide thread Threads not staying hidden? Try resetting your hidden threads. 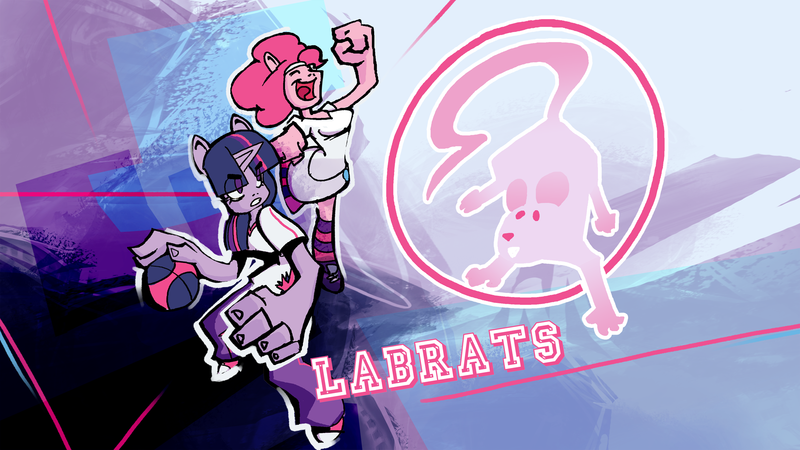 Currently I am part of a group who is in the process of building and distributing a game, with future possibility of becoming a full-fledged company. Currently, we are missing some key components for the creation of the game. 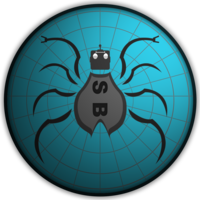 We have 1 Pixel Artist with minimal experience, so we are in need of a more experienced person to better assist us as well as possibly tutoring our current member. Also wanted, but not needed, is a programmer with at least some experience in C++ and OpenGL. Unfortunately, he's right. I'm sorry, but this board is for collaborative projects that in some way involve ponies. There are far better websites for this sort of thing. Thread collab/43697 hidden. Unhide thread Threads not staying hidden? Try resetting your hidden threads. So, I just recently got into the "bizz" of making PMV's and pony videos, and I was wondering if anyone was interested in making some sort of big one. It doesn't have to be like Ponies: The Anthology, but if that's what you would compare my idea to, then I guess that is what I am striving for here. Try the pmvtoday.com forums. I think there's some like-minded editors there. Thread collab/43010 hidden. Unhide thread Threads not staying hidden? Try resetting your hidden threads. 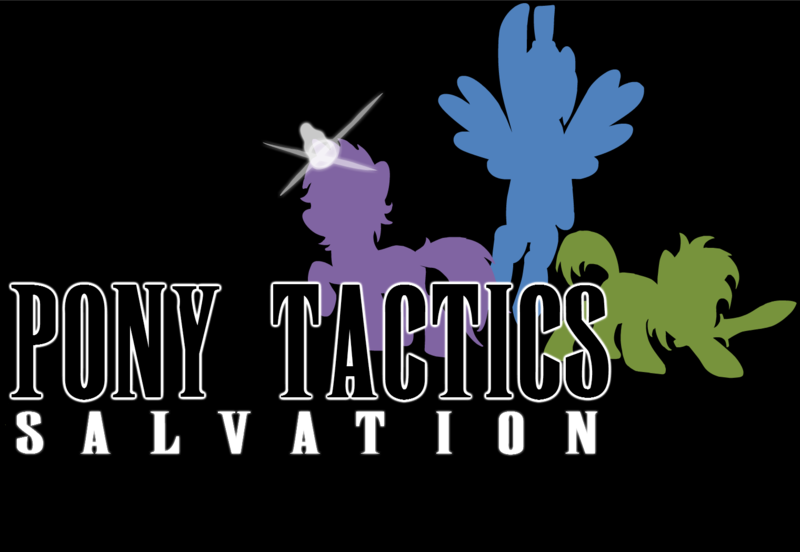 Pony Tactics: Salvation is a tactics style fan-made My Little Pony RPG game inspired by Final Fantasy Tactics, Disgaea, and Ogre Tactics. The game is being made in Unity and will be open source and free on release. Taking place just after Discord comes to rule Equestria, Salvation has players leading a team of fleeing townsponies to safety. Players battle many different types of enemies in many different environments. Along the way, party members come and go, forcing players to keep their strategy fresh. Unlike most tactics style games, Salvation does not have a classic job system. Instead, every unit falls uniquely into a role, with skills and abilities maintained by the story instead of jobs/levels. Smart use of a team's abilities and items is rewarded, as health/mana is not fully replenished after every battle. Bumping to say that this project is still alive but suddenly needs some more pony artists as all of ours suddenly had life sneak up on them. 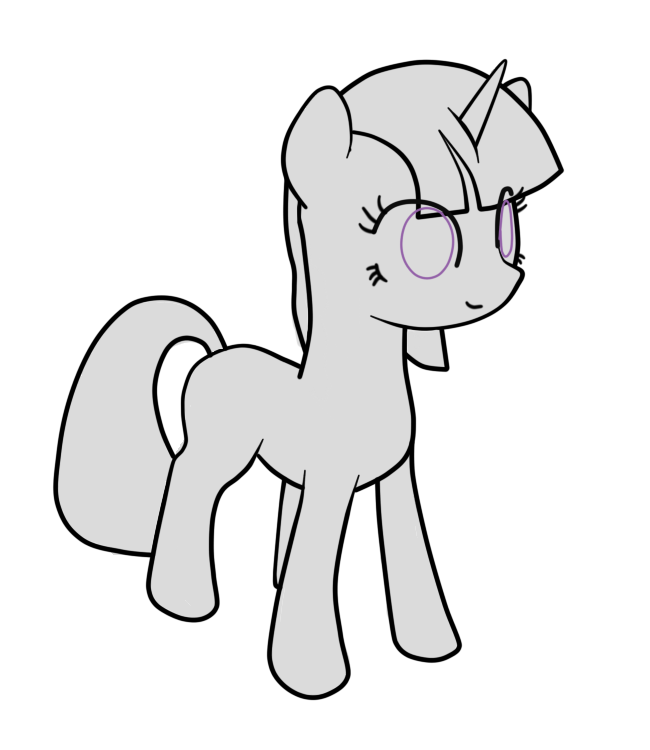 Pic is proof that work is moving forward, it's an updated Twilight Sparkle sprite (work in progress). 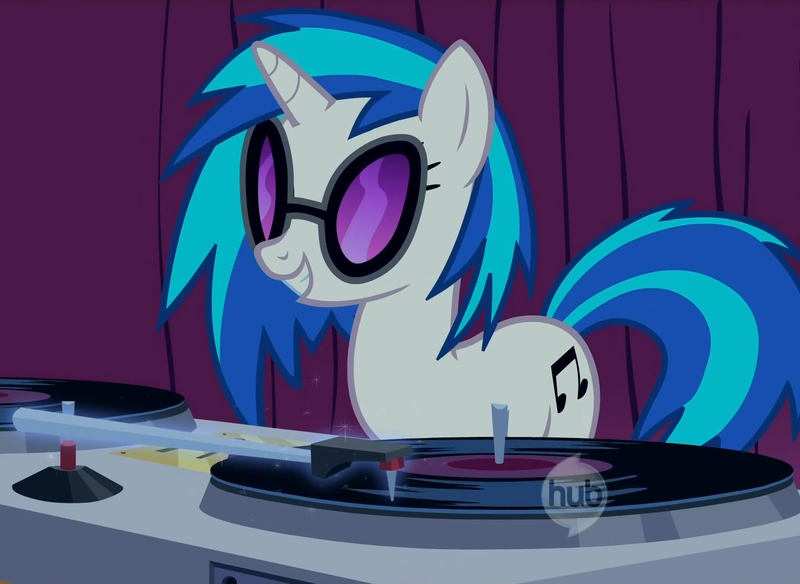 Pony artists, our website is linked in the OP! 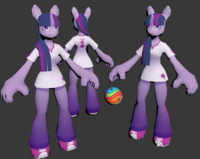 The best place for this is search help in deviantart, and ask to some brony artist, i'm really sure many artist will be glad to make art for this project! There certainly are a lot of people who applied when we first appeared, but not everyone was (to be frank) good enough at what they did to contribute. The team we have right now is only missing a few key artists at this point. We're making some good progress in the 3D model department and the story is almost finalized and everything's coming up Milhouse! Thread collab/43836 hidden. Unhide thread Threads not staying hidden? Try resetting your hidden threads. I have absolutely zero to do with this project, but I didn't know where to post this. Where SHOULD I post it then?? If this project is not yours, then simply don't post it, because it's not yours. You can contact the real team behind this project and suggest them to post here, but that's up to them. Why post this if its not your project?! Thread collab/36324 hidden. Unhide thread Threads not staying hidden? Try resetting your hidden threads. Thread collab/11985 hidden. Unhide thread Threads not staying hidden? Try resetting your hidden threads. 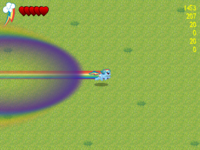 I've been hearing some people say that they would like a Zelda-like pony adventure game. Look no further. Your wish is finally coming true. I've had this game in my folders for a couple months now, I just haven't been able to work on it till now. Not much I can say right now except that all 6 of mane cast will be playable and each character will have their own skills to help you pass puzzles and obsticles. At the moment I only have Twilight and Rainbow working. I'll get to the others eventually. This game will be programed mostly solo but I could use help in other catagorys like music, environmental design and other stuff. I actually forgot to mention something about water. Some areas in the game are meant to be done solo, or called "Monozones". In these areas, the party rotation changes a bit. Rather then have all 3 on the field and just switching control, there is only 1 on the field and changing simply changes your character. This is most commonly seen underwater and during boss fights. 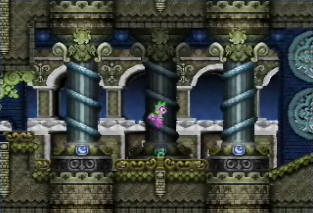 Underwater sections might go the 3 ponies sometime in the future but the bosses will remain Monozones to keep things a simple 1-on-1. As mentioned in a previous post, this game will be undergoing a name change. This time, the name is final. When I confirm the new name, I will also go a little bit more into the story and give a bit more insight into the theme and how is incorporates into the gameplay. Also, mods, I'm trying to edit the original post but my browser seems to crash whenever I try. Is there something wrong? Thread collab/34097 hidden. Unhide thread Threads not staying hidden? Try resetting your hidden threads. 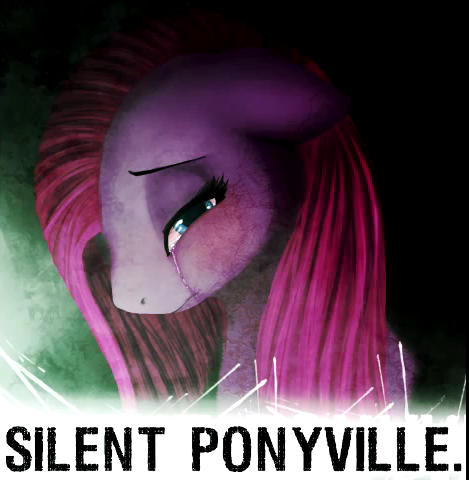 As anypony who's been keeping up with the "The End of Ponies" threads in /fic/ knows, I've been going on and on about getting a real audio version of it going. I've tried once, but let's just say that doing everything with bad software and a headset microphone didn't go so well. That's where this comes in. I've acquired a new mic and new software (Audacity) with which to really get the ball rolling on the project. I've spent some time compiling a short cast list for anypony to audition/sign up for that I'll link as a GDoc below. Add a comment and/or send me an email letting me know what roles you're willing/able to go for. Keep in mind the sheer volume several of the roles have, and that some of them might come back in future chapters. I'll be keeping this thread and doc updated on my progress, as well as answering any questions people might have. Email me a voice sample for the role(s) you want to do, or just general interest and I'll add you to my progress email list too. I normally do not have Skype open during the day, so if I am missing anything major like deadlines or something, please email me. I check my email more frequently than my Skype. Sorry for not sending in the lines yet as well. I just got done with band camp and I am getting ready for school by finishing my AP assignment this week. But I should have them finished soon. I seem to have a knack for letting things go cold on me. I really should be basically spamming emails out to the lot of you people involved until I get the lines I want, but I really don't think about the project that much, and day-to-day work, thoughts, and indolence tend to get in the way. I'm going to finish putting together everything I've got so far in the hopes that I'll have all the lines I need before I move across the country. If not, it'll just take me a little bit of time to set things up before I can get back to work. Let's try to get this ball rolling again, and I'll try to be a more communicative version of myself and actually keep in touch. >Pic is what I tend to waste a lot of time on even if I'm in the top 1% of players. I'm under the assumption that this is dead, or at the very least it's been on hiatus due to the reedit that SS&E has been slaving over these past couple of months. Either way, I just felt I'd put forward my continued interest in this project, and if nothing comes together for a group reading, I'm planning on starting one myself the moment the updated version goes up. Thread collab/43658 hidden. Unhide thread Threads not staying hidden? Try resetting your hidden threads. Here is something I'm considering working on. Two on two pony basketball, NBA jam style, with a very arcade gameplay, magic, tricks, and rainboom slamdunks. We're not quite here just yet, but that's good to know. 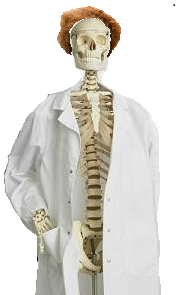 We'll get back to you as soon as there's anything worth testing. 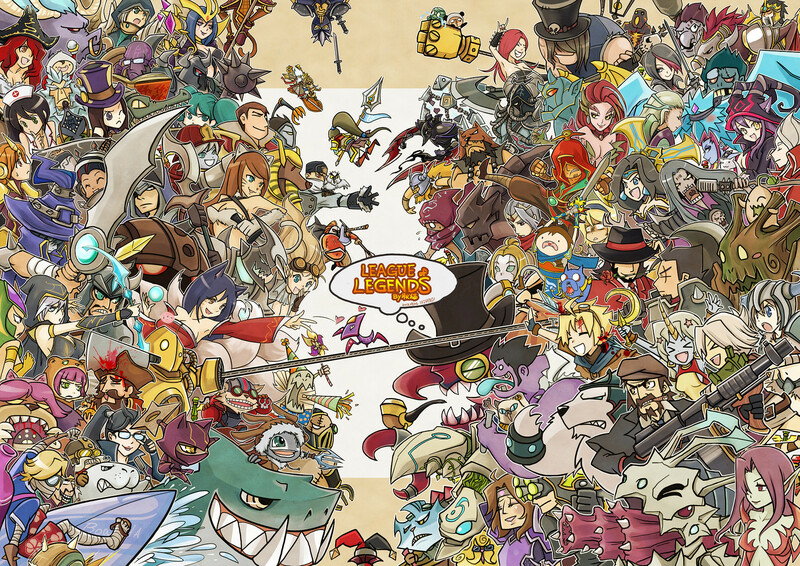 Anyway, splash screen. Went for a reference to the animaniacs rather than friendship is witchcraft. Not sure if good idea. It's only a name, though. Thread collab/43307 hidden. Unhide thread Threads not staying hidden? Try resetting your hidden threads. 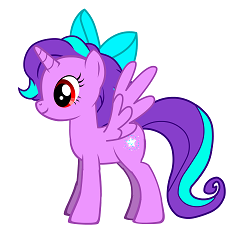 Hi everypony, I've not really posted here in... like a year maybe, hope that's ok. 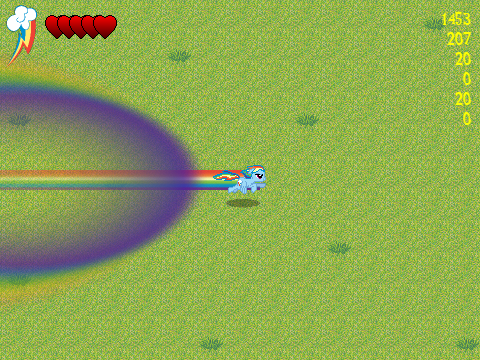 But I've recently been working on a My Little Pony roguelike as an experiment in random level generation. The game is now in a playable state, it's actually completable from start to finish as any character. 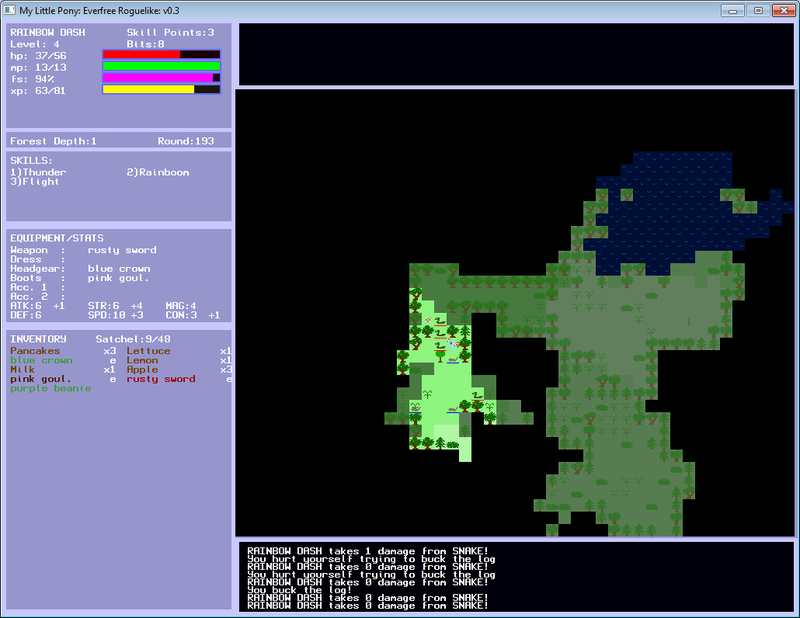 The game could have a lot more added to it, there are lots of monsters, environments and random elements I could add to the game, but I don't know if there is any interest in a roguelike game. So this isn't a thread looking for help and support, it's more a... do you think the game is worth continuing. And if so, I guess I am open to ideas from anyone. Been a while since last post, I took a week to work on part of a non-pony related survival horror thing that I'm developing - anyway, version 0.6 is up now! The high scores for each scenario are saved separately. You can now hold shift while moving to choose not to enter portals/stairs/log tunnels, this is essential for getting around the castle areas as stairs can generate in narrow corridors. Thread collab/43716 hidden. Unhide thread Threads not staying hidden? Try resetting your hidden threads. I'v started up a project a few months back that has the aim to catalog every brony musician out there. So far I'v got I think a couple hundred names on the list a small portion with links to there youtube, ect. I'm asking people to contribute to the list but supplying links and artist. There's one to the list. You might want to fix the grammar in that original post too. Let's fix this and add my favorites to the list. Thread collab/43681 hidden. Unhide thread Threads not staying hidden? Try resetting your hidden threads. I was inspired to do this project after seeing Akili Amethyst's first awesome stain glass pony coin. 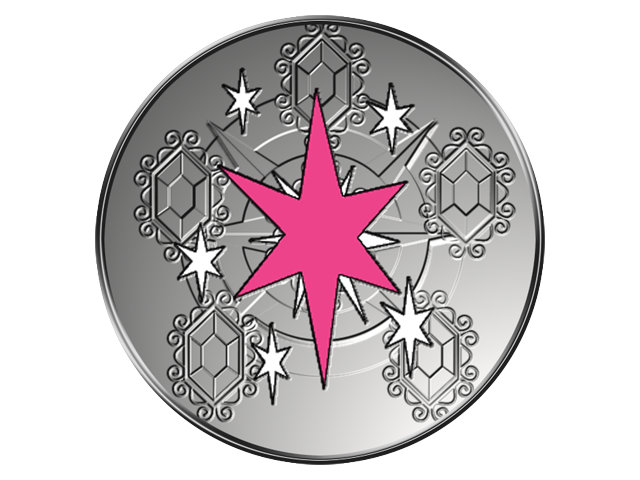 I designed a set of 6 coins, a much simpler design, and one for each of the Mane 6. There are only 12 days left to go, and at this point it's only 28% funded. Any support would be greatly appreciated, and even if it doesn't get funded it was still fun to make. I like the idea of the project, coins would be really cool. But the asking donations of $15-$90 for 1-6 coins is a bit spendy. And the overall goal of $5,500 seems a bit much to ask with no previous results or examples. Good idea, but should have started smaller. Thread collab/37519 hidden. Unhide thread Threads not staying hidden? Try resetting your hidden threads. 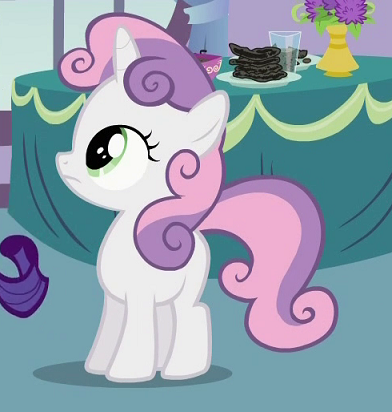 Let us raise our hooves and voices, make a chorus out of an Aria, turn our faces to the shores of Season 3. This month, WE SING. --The files should be labeled <creditname>_partName (for example, mine could be called Bpendragon_Cadance.mp3). ----- For the part of Chrysalis please use "name_Changeling" for the main part and "name_reprise" for the reprisal. I'm insanely sorry guys, but even with the amazing help I've been getting from Simul, I'm just unable to do this. I'm burnt out like you wouldn't believe. I've already chatted with Simul (we know each other IRL) and he's going to continue to work on it slowly. I also have all the data files if you want them, or you can e-mail me and I can add you to the shared Dropbox folder. I'm truly, deeply, sorry that I cannot finish this that I started, I will not start another of these for at least one year from today. If I attempt to, please remind me of this post and what can happen. I know I'm a tad late on this, but we really should get this up and going again. I've been waiting for this collab for quite a while, but never realized it was on here. Lets push to the finish! I know it's hard to finish somethings some times, but you just have to keep moving forward. when it stops being fun, you might need to take a step back and ask yourself why. I really hope you can finish this project, but if it never get finished, we will understand.